This luxurious soak provides urea (35%) plus spearmint, tea tree, lemongrass, and eucalyptus essential oils to help exfoliate, cleanse, and deeply moisturize tired hands and feet. The skin’s dry surface cells and unwanted cuticle tissues are softened for easy exfoliation and removal, while nail plates are conditioned. 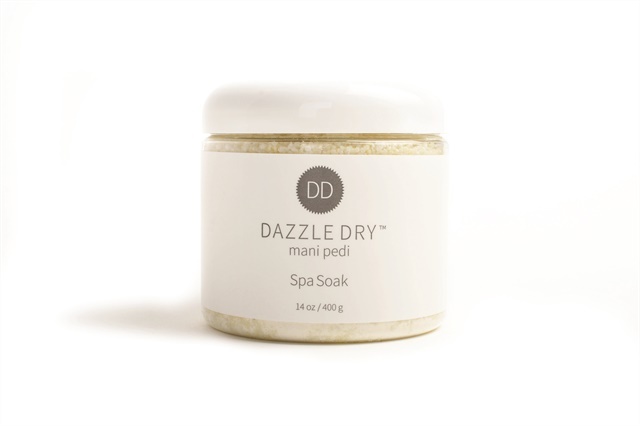 Like all Dazzle Dry products, Mani Pedi Spa Soak is formulated without the use of animal byproducts or testing, and is free from harmful or reactive ingredients. For more information, visit Dazzle Dry .